Stomach Cancer: No to surgery and chemo. Why? EK is a 66-year-old female. About 2 years ago, she felt stomach discomforts after eating. If she had soft diet, then she was okay. She did nothing about this problem. During the Chinese New Year, 2015, she felt something blocking when she took food. Then she vomited. The problem went away after that. In June 2015, she went to a medical clinic and the doctor said she might have thyroid problem. 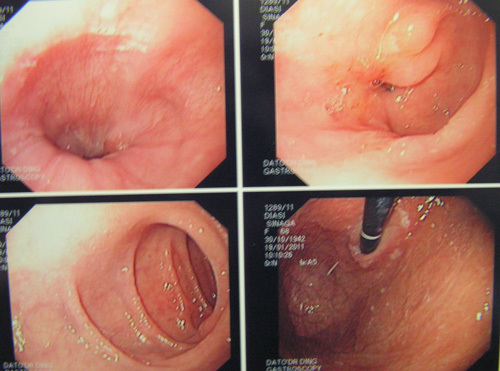 However, an endoscopy and biopsy in July 2015 indicated stomach cancer. EK and her son came to seek out help after being told that EK had to undergo chemotherapy followed by surgery. EK did not want to undergo these procedures. Why? Listen to our conversation that day. Chris: Does your mother know about this? Patient: Yes. When doing the scope, the doctor told me on the spot that I have cancer. The doctor then asked me to undergo chemo. Must decide immediately. Chemo is to shrink the tumour first. After that, they will operate me, to remove my stomach. Son: He was trying to convince her to immediately proceed with the treatment. But when I did research on line the chemo does not work so well with diet causing cancer. C: I understand. You are not the only one. Many others are like you too. You do not get cancer only yesterday. Perhaps it has been there for the past 5 or even 10 years already. P: Only 2 years ago. C: Perhaps 5 years ago it was already there but it did not show up and you did not feel anything. Most people do not “listen” to their body. For you, only now it shows up. What do you want to do? You have to decide. Correct, on the one hand you can have it removed and maybe it is gone. Do you want to operate? P: I don’t want to operate. The doctor told me if I do not operate the tumour will grow. It may cause blockage and bleeding. And it is going to be very painful. C: The doctor said you have to do chemo first and then surgery. Did you ask him if these procedures are going to cure you? P: No doctor would guarantee that. S: Why I feel not satisfied is every time we discuss with the doctor — he never want to tell us the probability. They don’t know. Depend on patient, this can happen, that can happen. They don’t know and dare not go into this subject. P: The doctor told me it is going to be 50: 50. S: They never tell us about the side effects. What can happen after that? I spent about 2 weeks researching (in the internet) I know that there are a lot of (side effects). C: Okay, take it easy. Relax. Go home and think about it and decide. Listen to your heart and not your head. If your heart says operate, then go for the operation. If your heart says no operation, then don’t do the operation. Take it easy. This is a major surgery. The whole stomach has to be removed. Understand this. If the cancer does not spread, then removing it is good. Clean and throw it away and it is gone. But if the cancer has already spread, that is where the problem is. If it has already gone to the liver, what do you do? Cut the liver also? It is hard for us to decide what is the best thing to do now. After removing your stomach, you can’t eat anything you like any more. You need to adjust your diet. It is going to be a bit difficult. Then that 50:50 chance — may be it may not end up 50:50 at all — we don’t know. You can’t blame the doctor because that is all they know. Then, back to this again. What if you do not do operate? First, the tumour may grow and block (the passage way). You cannot eat and vomit. So, you may have to face these problems. All these basically mean — you cut, you die; you don’t cut you also die. But everybody also has to die. The question to ask is: How do you want to die? That is the most important thing. If you go for surgery, you may die on the table. We don’t know. P: Yes, that was what the doctor told me. If something goes wrong, you die. C: You also need to know this. If you cut, you also need to suffer later … due to the chemo, etc. Go through all these sufferings and die. May be not worth it. This is one scenario. Another scenario is, now you are still well with no problem. If you can take care of yourself, maybe you don’t have to die sooner, may be you don’t have to suffer so much. But know that one day you have to die. So, which one do you want” Think for yourself. You come and see us — can we cure you? No, we are not god. But we also know that we have helped a lot of people already. They don’t die that soon. But they have to learn how to help themselves. Learn how to live with your cancer. Tell your cancer — you stay in there but don’t disturb me, and I don’t disturb you. If I die, you (cancer) also die. If there is blockage, then you have to go for surgery. If not, relax. We know this is dangerous, we know this is a rare cancer. In one year, we do not see many case like this. Okay, do you want to go home and think first what you want to do? P: No, I don’t want surgery. Then go for chemo — no, my whole body would collapse! The doctor also told me that even if I did the operation, he would not be able to remove everything. May be something may be left behind. Because of that, I want to go for natural therapy. C: Do you understand that it may not cure you? 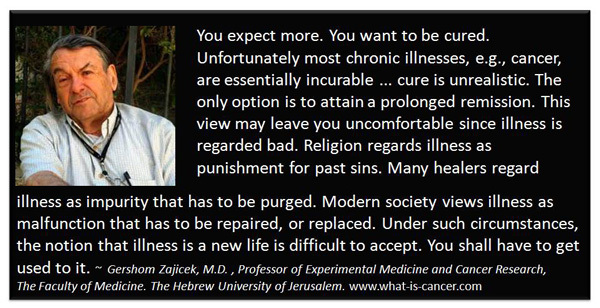 People come and ask us to cure them. Our answer is, No we cannot cure you. Because we know that cancer cannot be cured, but to help you — YES. But you have to want to help yourself first. But how long you want to help yourself is up to you. Some people get well after 6 months — they forget what we taught them after that! S: Professor. Thanks for reminding us. I know in terms of diet, it is not easy to change. EK and her son were desperate. And they need help. The doctor wanted her to go for chemo and surgery for her stomach cancer that had probably spread to the liver, pancreas, spleen and lymph nodes. In simple language, this is an advanced cancer, where surgery alone cannot cure her. The cancer cannot be totally removed. That means, the chance of recurrence is very high. In addition EK has to undergo chemotherapy. EK knew what she was asked to go into and decided not to follow the medical way. EK and her son clearly need help. CA Care was set up to exactly to do this — to help those in need of direction and help. And we are ready to help. But for those who come to CA Care in search of “magic bullet” or any easy way out, then we say you have come to the wrong place. Please go elsewhere to shop for your cure. It is unfortunate that doctors do not have the time to show much concern about the patients. EK was told right there and then, while doing the scope, that she has cancer and chemo has to be done immediately. The message came like a bomb. No doubt about, the “death sentence” as many like to call it, caused much anxiety and distress not only to the patient but also the entire family. Patients and their family members want to know MORE, but they cannot get much information from the doctor. At CA Care, we try our best to answer your concerns and provide information as honestly as we can — to empower you with knowledge so that you can make informed decisions. While in the midst of writing this story, a patient came to our centre. He was diagnosed with pancreatic cancer that has spread extensively to his liver. After the CT scan, the doctor told him: We cannot operate you. We cannot chemo you. Go home, eat anything you like and go and play as much golf as you like. The patient told us, I know what that mean. The doctor virtually told me to go home and wait to die. It was indeed a great let down. We don’t know how he took it, knowing that this man was once the deputy head of a state government, a VVIP. He and his wife spent about one and half hours at our centre. We answered everything that they wanted to know. No doubt, they were satisfied. They now know what they CAN and NEED to do next. Pose this question to the Power-that-Be, Given the above situation, what can we do to improve the situation? Is building more hospitals the answer? Perhaps we don’t need expensive hospitals but train people who run hospitals with a more “human heart”. I am fully aware too that during our consultation, I am often very blunt. To most people, may be the mention of the word “death” is a taboo and is very objectionable. But at CA Care, we often bring this subject up with the patients. This is because we want them to understand the bigger picture of the problem. We fully understand, ALL patients want to be cured of their cancer, no matter how advanced their disease may be. Many patients say they want to “fight” to the end. Well said, but do you still want to fight with the SAME weapons, if you know with almost certainty that you are going to lose the war. In addition, you suffer as a consequence. Some even leave a “big hole” in their bank account for the next-of-kin to settle. The only winners in the game are the doctors, hospitals and drug companies! We are not implying here that patients with terminal cancer should just give up — go home and wait to die like the case of the VVP above. Far from it. Perhaps the question to ask is, If the expensive, scientific medicine cannot cure your cancer, can there be another option? At least another option which can allow patients to live in peace without suffering, even though we all know that cancer cannot be cured. EK and the VVIP above did not give up. At least they came to CA Care and they found “peace” and a new “hope”. The file of YM laid buried among the pile of papers on my desk – almost forgotten. But about two months back (mid-2013), a medical doctor came to seek our help. When asked who sent him here, he replied it was his neighbour, YM. I asked the doctor how YM is doing. He replied, Very well. This episode make me go back to my old files and I started to track YM’s case. This is her story. YM was diagnosed with stomach cancer in July 2007. A biopsy confirmed a poorly differentiated adenocarcinoma of the stomach. She underwent 6 cycles of chemotherapy. She took Xeloda for two weeks and stopped. Apparently the doctor suggested that her stomach be removed. YM was in a dilemma, not knowing whether to go for the operation or not. I recalled it was at this point in time that YM called me and we spoke on the phone. YM had just started taking our herbs. On 30 December 2007, YM and her family came to our centre in Penang. This is the recording of our meeting that day. The following are e-mails that give more details about YM’s cancer experience. 1. Does it matter when I take the stomach tea? Should I take it on empty stomach? Is it ok if I take it after juice or right after my dinner? 2. Can I take C-tea with Capsule A together or any other supplements like multi-vitamin. calcium, vitamin c, and plant oil? 3. I know that I should take stomach tea and C-tea at separate time. What is the minimum time interval between the 2 teas? 4. I read from your website that capsule A is for detox purpose. But C-tea is also for detox purpose (as told by you). Why am I asked to take 2 things with the same function? 5. Is capsule A made from the plant called “rodent tuber”? 6. May I use other organic sauce or seasoning for taste, besides sea salt and liquid aminos that you are selling at your center? 7. May I consume soup that boiled with chicken (kampung chicken or organic chicken) or pork but without taking the meat? I know I am not supposed to take meat but I need to know whether drinking meat soup is as bad as well. 8. How about soup with “ikan bilis”? 9. Is it ok to take the following food: “nangka” or jackfruit, peanuts, and small dried prawns? Even if in small amount? Please do not get upset in answering the questions especially the questions about food. You may have answered them thousands of times but we, the patients, need to hear from you for sure. 1. Better to take after food. Timing? When convenient. 2. Not a good idea. Take Capsule A on empty stomach if no gastric pain. Later take whatever. 4. Same function but many ways of healing. Attack from all angles not enough. 5. Yes, but with 10 other herbs to balance it. 6. I don’t know what other organic sauce is. Sure it is good stuff? I don’t know. 7. No, no. no. Nothing from things that move with their legs. 8. Yes, but don’t overdo. One tea spoonful of bilis powder maximum. 9. Aya, very bad and my answer is NO. 10. The stomach regurgitates or reflux. Try to take herbs after food and see what happens. 13 February 2008: Dr Chris, I did have intravenous chemotherapy — that was why I was in hospital for a day for each treatment. So the cost includes the intravenous chemo done in the hospital plus 2-3 weeks supply of Xeloda and vitamins. There were 6 treatments like this for the whole course. It cost about RM33,000 in total. I have been taking C-tea, capsule A, stomach 1 and 2 since 1 January 2008, only for one-and-a-half months. I am doing fine so far. Although I do not feel significantly different from before the herbs, I feel well and normal, and I got some good comments like I look better from my face. I believe in the herbs and the natural way of healing, so I will continue taking the herbs and other nutrients and watching my diet. Of course, I will consult doctor and monitor my condition from time to time. In fact mine is a cancerous ulcer in the stomach. It is not a tumor. It has spread to nearby lymph nodes, therefore, classified as stage 4. It is under controlled after the chemotherapy. Now I wish to keep it under control as long as I can with the herbs and diet. I will take whatever you think is good for me especially it is targeted to cancerous ulcer. I strongly believe that, in my case, it was caused by the Pylori bacteria, which was preventable. I wish I have known much earlier the danger of being infected by this type of bacteria. How are you doing? I know that you are a very busy man and I try not to disturb you too much. If you may recall, I went to see Mr Lee and you end of last year, December 2007. I started to take your herbs 1 January 2008. You asked me to do a blood test at that time I saw you and I did. That was the beginning of the consumption of your herbs. Seven months after consuming the herbs–Stomach 1 and 2, C-tea, and capsule A–I went to do a scope in my stomach and a full blood test at Subang Jaya Medical Center on July 23, 2008. I asked back the same doctor who did the scope and biopsy on me about a year ago. He was the one who delivered the bad news that I had stomach cancer stage 4. I remember very clearly he said that I had a very big ulcer in my stomach. And a year later he delivered the good news to me. He saw a perfect stomach with no ulcer–it was healed! My blood test results looked ok too–all tumor markers were within the range except CA19.9, it was 36 (the upper range was 35 based on the report.) My white blood counts was a bit low with a rating of 2.9. I think the lower range was about 4. Anyway, the doctor said that the CA19.9 of 36 was not alarming and I may need to see a blood specialist for the low white blood cells. He declared me cancer-free for now. I just need to monitor closely from now on. I am aware that I have a low white blood count since I started my chemo treatment last year, August 2007. If I am not wrong, there is not much I could do about it. It may affect my immune system and so far I am ok without getting sick. I will continue my diet and herbs regime and will do a check up within half a year or so. I have cut out meat completely and for white sugar and salt, I cut them down as much as I can. I can’t be avoided completely if I eat out, hence I will not eat out unless I go traveling or for special occasions. Anyway, Dr Chris, I believe in your herbs and I intend to continue taking it as long as I could. I understand that I am cancer free now but this does not guarantee anything. I will not be shocked if it comes back. I just try my best to prevent it from coming back. If it does come back, I will just deal with it accordingly. Of course, I hope that it will not come back with my diet regime and herbs therapy plus the supplements (OMX, plant oil, vitamin C, and complex enzyme) that I am taking. So much about my updates. Thank you. Question: What happened before July 2007. Were you suffering from something? Answer: Prolonged bloating and a very uncomfortable stomach, no appetite, felt like vomiting. When did this doctor say it was stage 4. After the biopsy result in July 2007? And it was stage 4? You had a big stomach ulcer — your stomach must be bleeding? Lost a lot of blood? He did not treat you for ulcer? Surprisingly I had no bleeding in the stomach based on what I know–if my stomach bleeds, my stool would be black in color. But my stool was not black but normal color to me. I did bleed but it was red, fresh blood, because I have piles. The doctor who did the biopsy did give me some pills for the ulcer but I went for chemo right away. I still finished the pills anyway. What did he say about being alive — or his prognosis? He did not say anything about that because he is not an oncologist. He referred me to an oncologist right after the biopsy results. The referred oncologist (a lady) came to see me and based on the conversation with her, I knew I was very serious and I needed treatment fast. So I decided to go for the chemo treatment within 2 days of the biopsy results. Did you ask him if there was a cure? Did he ask you to go for surgery? Or chemo? The oncologist asked me to go for chemo first and when I got response she advised me to go for surgery. The oncologist suggested chemo treatment and it was done within the next 2 days after the biopsy. You said you have 6 cycles of chemo — Was it from August 2007 onwards? And when did it end? What drugs did they use? Then you had 2 weeks of Xeloda and stopped the Xeloda — was this after you had completed your i/v chemo? I was given 2 weeks supply of Xeloda for every cycle of chemo treatment. After the chemo and Xeloda — were you okay? Of course there were side effects like numbness in my hands, slight blurred vision, poor appetite, dropping more hair, and low white blood count. Other than that, I was feeling ok generally. In December 2007 CT scan indicated everything fine. What did the doctor say about this report. The oncologist was pleased with the results and suggested that I go for surgery to remove part or whole of the stomach so as to remove the source of the cancer within a month after the last chemo treatment, before the drug worn out. Since response of the treatment was so good, why did you come to see us and want to take the herbs? I came to see you because I read the book entitled “Cancer Cured Naturally” by Betty Khoo-Kingsley. I believed in it and based on the contact information at the end of the book, I located CACARE. I was reluctant to go for the surgery. I was told by the surgeon (I went to consult a surgeon) about the side effects of having the stomach removed and I would be made very weak. I went to see you to get your opinion as well, and you were very upset by what the oncologist told me. You said that surgery might not be necessary especially if the cancer had spread. You asked me to give myself 3 months to take the herbs and to do blood test and PET scan within that 3 months. I took the herbs and did blood test but I did not and still have not done any scan yet. Now that it is healed. Did the doctor tell you why your cancer had disappeared? The doctor who did the scope for me did not explain anything. He knew that I have gone through the chemo treatment. And I did not go back to see my oncologist since my last treatment in December 2007. Did he ask you if you took anything else besides chemo and Xeloda? As I mentioned above, this doctor did not ask anything and I have not seen any oncologist since December last year. Your health conditions — before you took the herbs and after you took the herbs — were there any difference? I am trying to find out if the herbs helped you in any way? Before I took the herbs I was still suffering from the chemo side effects and of course my health condition was not as good. After the chemo and taking the herbs, I feel fine, not lethargic, good appetite, sweat or perspire easily. The only thing is I have lost about 8 kgs or 17 lbs since the treatment and no-meat diet. But I feel healthy. 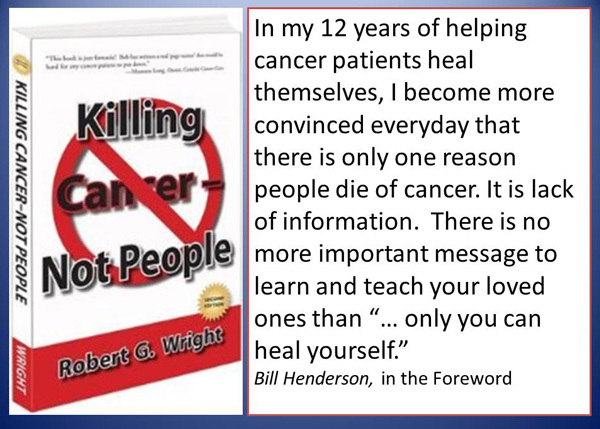 But I think that what is more important is to see whether the herbs help prevent the cancer spreads further (if is still there) or help prevent the cancer comes back (if I was “cancer-free” after the chemo treatment). I have consulted other oncologists for second opinion and they said the same thing. I should and should have done the surgery before the chemo drug wore out, which should be within a month or two after the last chemo treatment. If the herbs can prolong a relapse or keep cancer away then the herbs is considered effective. Also, if I, the patient, believe in the herbs and help keep my spirit and hope high, definitely the herbs is considered beneficial. Dr Chris, once we believe that cancer can be cured naturally, then taking herbs therapy is inevitable. 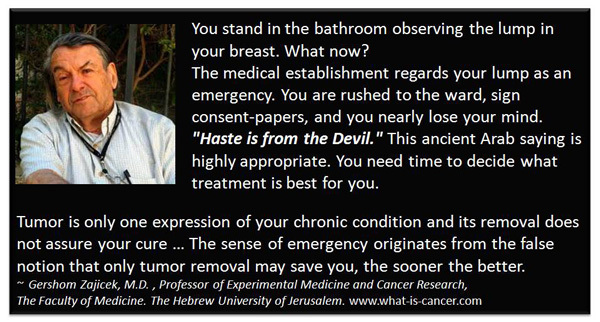 If you were NOT on the herbs — or you have NOT found us — would you have followed the oncologist’s advice and go ahead to have your stomach removed? Yes. I would have gone for the surgery if the cancerous ulcer was still there. I had already talked to a surgeon before I went to see you. Even after you have found us, why did you not follow the oncologist’s advice? What made you want to opt for our herbs — knowing that your problem was serious at that time — or you did not consider your situation serious at all? Although I responded very well to the chemo treatment, I would not think that I was “cured”. I expected my cancerous ulcer was still there and I was facing two options — one is going for the operation, and the other one is taking an alternative treatment. After talking to you, I decided to give it a try on the herbs. Latest update 19 August 2013: Yes, YM turns up occasionally to collect Cap A, or she sends someone on her behalf. She has put on some weight and looks very well. We saw her a few weeks ago when she brought a friend who has breast cancer. What do you think YM’s life is like if she was to follow the doctor’s advice and have her stomach removed? 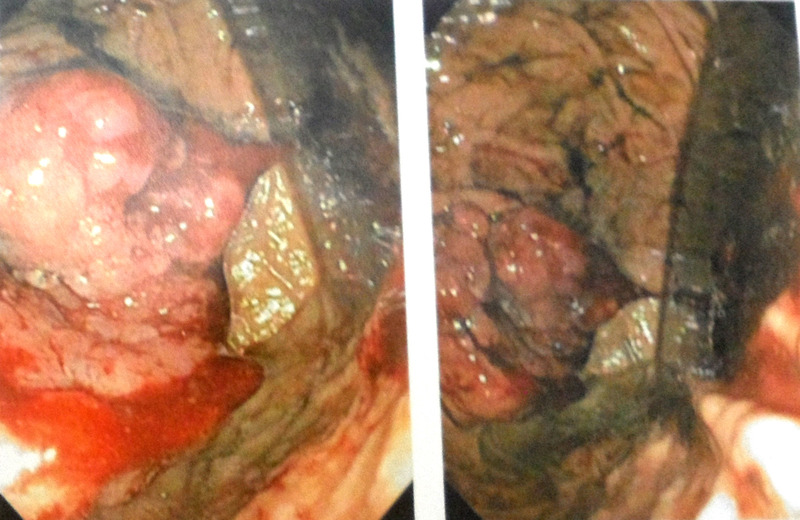 Stomach Cancer: After Three Biopsies She Declined Medical Treatment: Where is the logic? DS-M906, is a 69-year-old female from Indonesia. 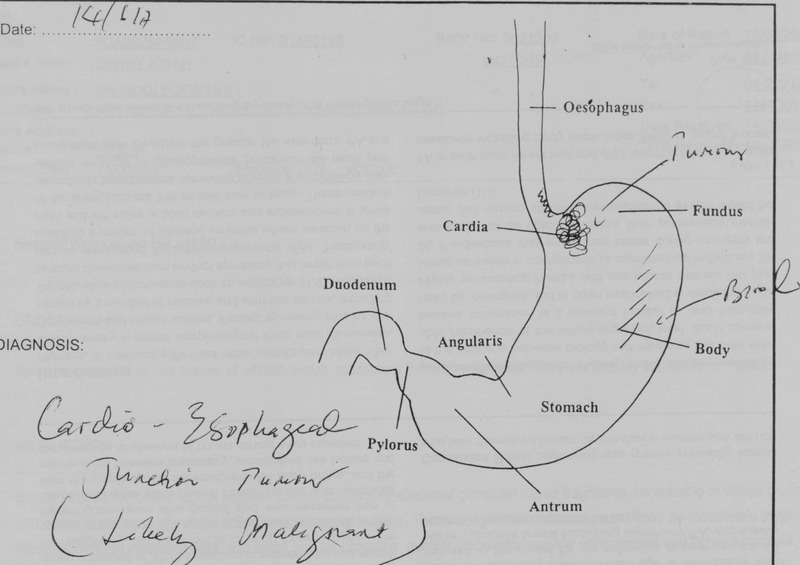 Sometime in July 2009, DS had problems with her stomach. She consulted an internist at a private hospital in Medan. A biopsy was performed and the result indicated an adenocarcinoma, i.e. cancer of the stomach. After this examination, DS decided not to do anything. Her problem escalated and she suffered more pains. In December 2010, DS went to see another doctor in another private hospital in Medan. A biopsy was again performed. The histopathology result indicated a moderately differentiated adenocarcinoma. Not satisfied, in January 2011, DS came to a private hospital in Penang for further consultation. A CT scan did not show any focal lung lesion. Her abdominal organs were normal. A colonoscopy showed simple haemorrhoids while the rest of the bowels were normal. A biopsy of the pre-pyloric region was performed. The result indicated signet ring-type adenocarcinoma. There was also Helicobacter pylori associated chronic active gastritis. In short, for the third time, DS had been told that she had stomach cancer. The doctor in Penang suggested two options – DS take medications or undergo an operation. DS declined further medical treatment and came to seek our help on 21 January 2011. Below is the video recording of our conversation. We posed this question to DS – and for that matter, to all patients. If she has already decided not to undergo surgery after a biopsy, why does she do one biopsy after another? It is understandable if only one biopsy is done – to determine what has gone wrong. But what does she expect to get by doing three biopsies? This is one peculiarity we often notice among Indonesian patients. They come to Penang – bring all the money that they have. They spend their money on blood test, X-ray, CT scan, PET scan, biopsy, etc. When they are told that they have cancer and need to medical treatments, some of them just pack off and go home the next day. Is this not wasting money unnecessarily? Is there any logic in doing such thing? This is our message to patient: Iif you don’t want to proceed with medical treatments recommended by your doctor, there is no need to do a biopsy. A biopsy is done to confirm if you have cancer, so that you can move to the next step – be it surgery, radiotherapy or chemotherapy. If you did not want to do any of these, why do a biopsy? Again we say – before doing a biopsy, ask yourself first: If it is cancer, do I want to undergo surgery / chemotherapy / or radiotherapy? If you agree to such treatment, go ahead with the biopsy to be sure that it is really cancer. But if you do not wish to undergo further medical treatment as in the case of DS, why do you spend so much of your money doing the biopsy in the first place? Granted – some patients say, the medical treatments are expensive and they cannot afford it. Or, some may say they decline medical treatments because the doctors cannot guarantee a cure. If these are your concerns, why don’t you ask the costs first or ask for a guarantee first before doing anything? LK (T905) is a 71-year-old female. Sometime in September 2007 she passed out blood. She consulted a doctor in a private hospital and was prescribed ulcer medication. She was on this medication for about a year. Then on 28 September 2008, LK was again admitted into the same private hospital for gastric bleeding. 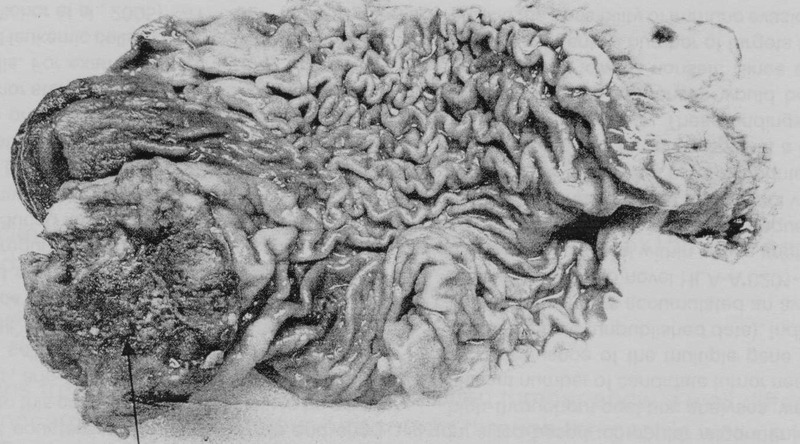 An OGDS (oesophago-gastric-duodeno-scopy) carried out on her on 30 September 2008 revealed a large ulcer at the pylorus of the stomach. A biopsy of the ulcer showed it to be a moderately differentiated adenocarcinoma, intestinal-type. LK was referred to an oncologist for chemotherapy but she declined the treatment. On 24 October 2008, she and her family came to seek our help instead. LK was prescribed Capsule A, Stomach1 & 2 teas, C-tea. She was well up to this day. Since she did not come to see us personally, her case did not attract out attention. Nevertheless, her children regularly came to take herbs for her. More than two years later, 5 December 2010, LK came to our centre again. For the past six months she had been staying with her daughter in Kuala Lumpur (KL). During her stay in KL she developed severe itch and this deprived her of sleep every night. Her legs were weak and she had no strength to walk. This was further compounded by her long-standing backaches. She has to use a walking stick. We immediately put LK on the e-Therapy. LK was asked to undergo chemotherapy after surgery of stomach cancer. She was then 71 years old. She declined the treatment. What do you think would have happened to this elderly lady if she were to undergo the recommended chemotherapy? Would she have survived the treatment? I searched the internet to find out about the effectiveness of chemotherapy for gastric (stomach) cancer. First, ask this question: What is the purpose of chemotherapy after surgery? This is what one website said: This treatment may improve survival time by months and the quality of life. This statement implies that chemotherapy does not cure stomach cancer. It only improves survival time by months. The statement also claims that it improves quality of life. Do you buy this claim? I really find it hard to swallow. This is because the same website said this: Chemotherapy given to treat stomach cancer may cause the following side effects: sunburn-like skin irritation, nausea, diarrhea, fatigue, nerve damage, low blood counts, hair loss and kidney damage. Another website had this list: skin rash, hearing problems, loss of balance, joint pain and swollen legs and feet. 1. Increases the survival rate. 2. Increases the amount of time before recurrence. Wang Qilu of the Cancer Institute & Hospital CAMS & PUMC, Beijing, China, said: Chemotherapy has moderate efficacy for gastric cancer. Chemotherapy or combined therapy can reduce recurrence in the gastric cancer and improve patients’ survival. Take note, no one claims that chemotherapy and / or radiotherapy after surgery can ever cure stomach cancer. In this respect, we are really glad to see LK doing fine even after two years. For the past six months, LK developed itchiness of her skin. Besides she has difficulty moving around due to weakness of her legs. Even before her cancer she also had lumbar backache. We did not get to see LK often. In fact LK came to see us on 5 December 2010 on our request. We immediately put her on the e-therapy and within days, her conditions improved. As LK said the doctor’s medication could only helpe her temporarily – the problems recurred.